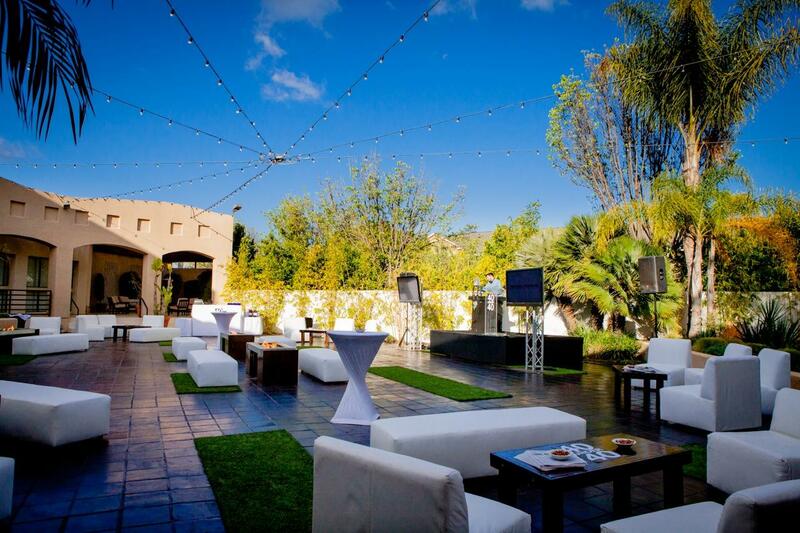 Rent The Grand Long Beach | Corporate Events | Wedding Locations, Event Spaces and Party Venues. Southern California's Premier Event Venue since 1960. Situated on 11 lovely landscaped acres lies our stylish 40,000 sq ft destination for weddings, meetings, and events of all occasions. Featuring 6 flexible indoor spaces, 2 room-adjacent patios, and 2 outdoor courtyards, our venue can accommodate up to 2,000 guests with ease and excellence. Visitors will appreciate conveniences such as complimentary parking, wireless internet access, and proximity to nearby freeways, airports, and lodging. We create the environment so you can focus on the results. Finding the right professional setting for your meetings, seminars, and executive off-sites is crucial to your organizations success. Leave it to an event professional to design a room layout that engages your team and a menu that fuels their creativity. t’s time social events became truly social… and fun! When planning your next milestone event, fundraiser, or celebration, consider a space that offers turnkey packages including rentals, lounge furniture, custom menu options, lighting and décor solutions, and more. We save you time planning and coordinating so you can enjoy the party.